Printsome works closely with agencies and event professionals to help them reach their goals. We offer a quick, efficient and thorough printing service with minimum order quantities. We're known for great quality and a quick turnaround with a huge printing capacity. 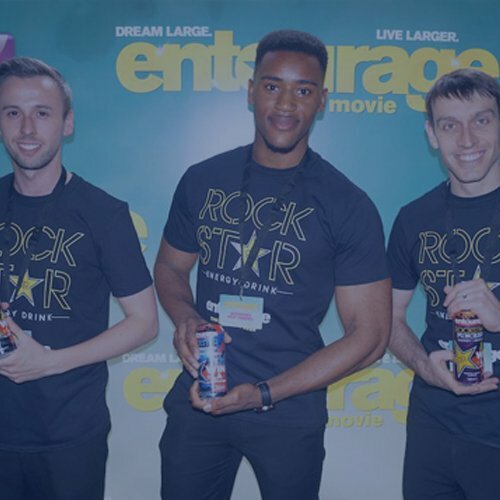 Let’s rock your next event with personalised T-shirts! We offer a wide range of garments to personalise. T-shirts are our most popular product but you'll also find hoodies, polo shirts and tote bags, among others. You'll get your very own printing expert who'll advise you from the beginning till the very end. We will help you visualise and find the appropriate design so you can reach your goals. Ask for a free quote now! Our printing experts have years of experience working with event planners. Printsome's attentive and friendly staff knows all about tight deadlines and strict budgets. The agency model allows us to provide you with the attention you deserve. While our cutting-edge printers produce, even the largest of orders, quickly and efficiently. No other supplier compares to Printsome. 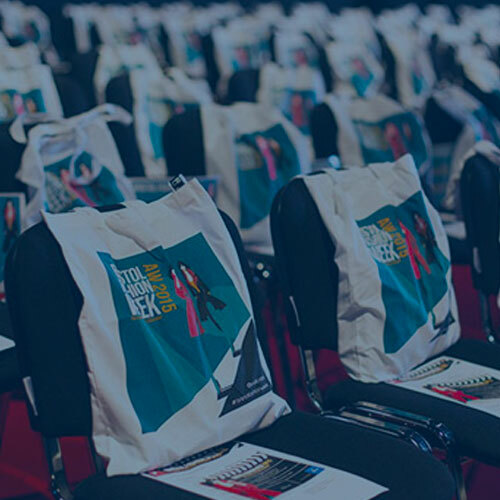 T-shirts for Events: Festivals, Conferences and More! Unlike other merchandise, T-shirts are familiar and therefore need no introduction. As long as they’re well kept, good-quality garments can outlast any other type of advertisement. Every time they're worn, it's an opportunity to increase brand awareness. 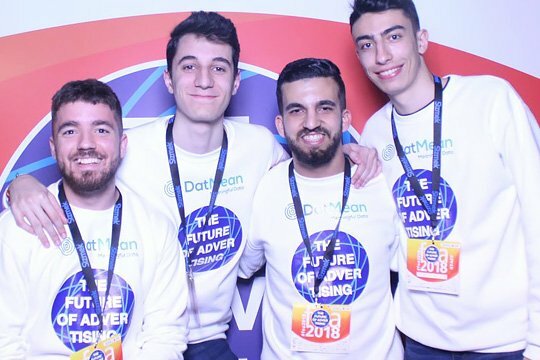 Get in touch with our team to learn about all the possible solutions we can offer you. Increase your brand loyalty now! 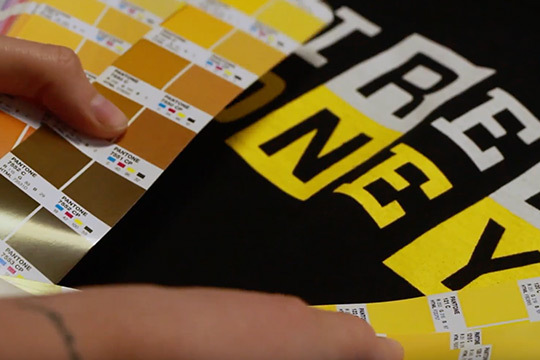 When it comes to printing T-shirts in bulk, there's no better technique than screen printing. Not only is it fast but it also generates, vibrant, high-quality results. 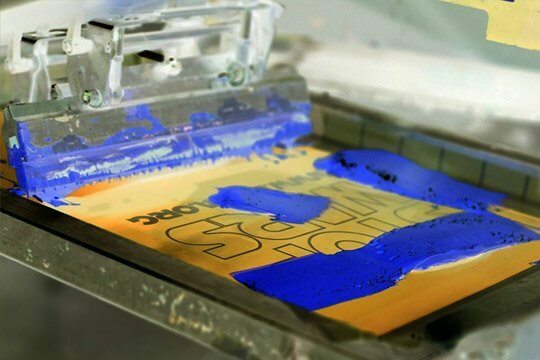 Here at Printsome, we work with some of the best screen printing machines in the market. 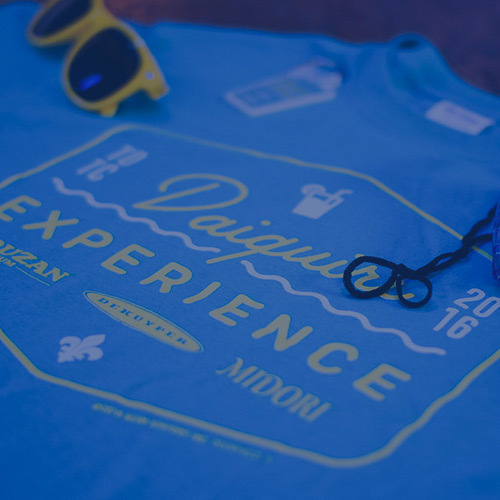 How much does it cost to order custom event T-shirts? Pricing varies depending on quantity, printing technique, design, clothing brand and even shipping options. So it is difficult - if not impossible - to calculate a flat rate. But as a general rule, the more T-shirts we produce, then the lower the price per unit will be. Our printing experts can offer a special deal to those who need to print T-shirts in bulk. To keep costs low, we recommend a simple design on top of a simple white garment. For more advise, contact our support team. Why should I use promotional T-shirts? T-shirts are the most popular promotional clothing item. There’s a good reason for it, too – pretty much everybody wears T-shirts, and they’re a nice choice that’s versatile and comfortable at the same time. Still, as great as they are, they’re certainly not the only choice for your brands. Just a few of the options we offer: hoodies, jumpers, polo shirts, vest tops, aprons, sports tops, zip-neck fleeces, button-up shirts….the list can (and does!) go on. Our standard shipping takes anywhere between five to ten business days. On certain situations, we may also provide deliveries on Saturdays before noon. But if that’s not fast enough for you, in most cases we can offer an express service which has a turnaround time of two to three days (sometimes even less depending on your order details). If your stated deadline is within four days, our advice team will be in contact within minutes to discuss and advise you on your specific situation.